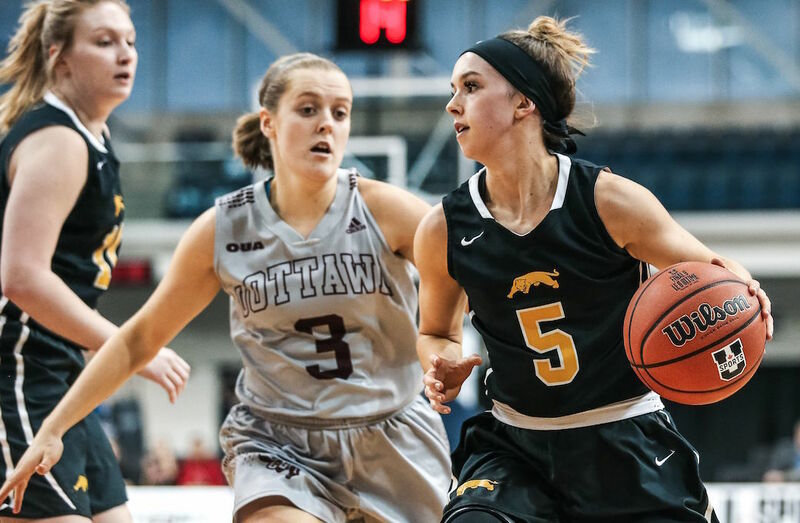 A fourth-quarter push by the Regina Cougars was not enough to take down the Ottawa Gee-Gees in the 2019 U SPORTS quarterfinals, as the No. 4 Gee-Gees earned a 65-63 victory over the No. 5 Cougars on Thursday night in Toronto. Guiding the Gee-Gees through their offensive efforts was third-year guard Amélie Hachey (Drummondville, Que. ), who scored a game-high 26 points in the win. Regina’s Macaela Crone (Moose Jaw, Sask.) led her team with 21 points through 32 minutes on the court. The first quarter saw both teams exchanging leads until the five-minute mark, when the Gee-Gees would pull away with their first advantage of the game. Ottawa outscored Regina 17-12 in the quarter, holding a five-point lead after 10. 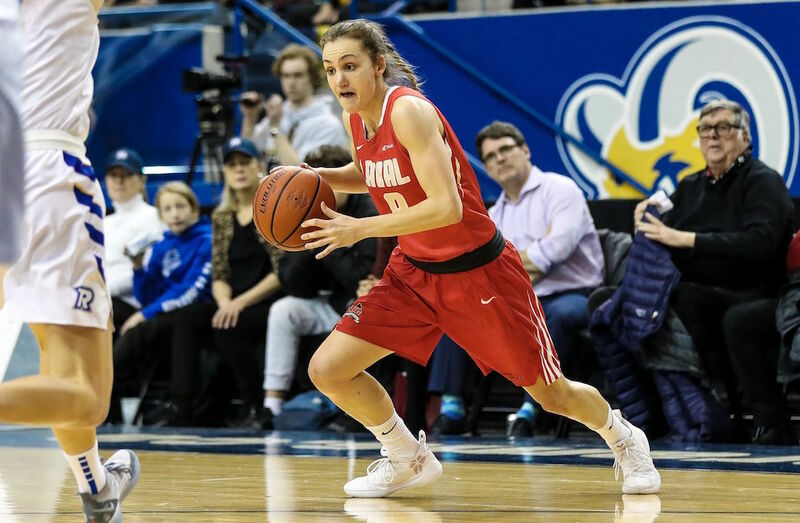 Hachey dominated the floor for the Gee-Gees, shooting 80 per cent (4-5) from the field through the opening 20 minutes of the game. Hachey and Brooklynn McAlear-Fanus (Hantsport, N.S.) would combine for 24 points in the first half as the Gee-Gees maintained a 37-24 lead after 20. “I was extremely focused and not stressed whatsoever,” says Hachey on her performance. Regina’s second-half push began at the very start of the third quarter. Crone and Christina McCusker (Regina, Sask.) front-lined the Cougars’ attacking efforts, each scoring 13 points by the end of the third quarter. The fourth quarter saw the most competitive 10 minutes of the game. The Gee-Gees’ lead steadily decreased as the clock wound down, and Regina would bring the game within two with just 30 seconds left. The Gee-Gees’ aggressive defence prevented Regina from tying the game, as Ottawa would earn the victory to advance to the U SPORTS semifinals on Saturday. Ottawa head coach Andy Sparks says their opponent’s second-half push was a mental lapse on his team’s part. “We dug ourselves in a deep hole there,” remarked Regina head coach Dave Taylor. Ottawa advances to take on the No. 1 Laval Rouge et Or in the semifinals on Saturday at 7 p.m. ET / 4 p.m. PT on Sportsnet 360, Sportsnet Now and TVA Sports, while the Cougars will face the Ryerson Rams in the consolation semifinal Friday night at 8 p.m. ET / 5 p.m. PT.